Disruptions to established businesses happen all the time. Like everyone else in business, HERA members and their communities are called on to navigate in a potentially disruptive VUCA world – volatile, uncertain, complex and ambiguous. 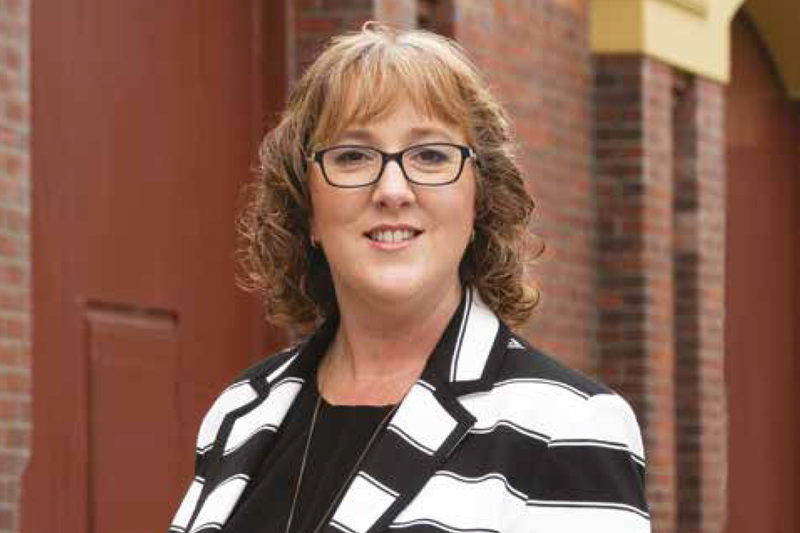 In this article Kirsten Patterson, CE of the Institute of Directors of New Zealand (IoD), talks about how her members (including directors of some of our biggest companies), face disruptive innovation in business. Her organisation has a voluntary membership of 8,700 members, with an aim to inspire and equip people in governance to add value across New Zealand business and society. Chief Executive Institute of Directors of New Zealand Kirsten Patterson. It’s likely that sometime disruption will happen to your business. It’s possibly already happening. But, how do you deal with volatility, uncertainty, complexity and ambiguity in your role? The trick is keeping up-to-date with what’s happening, knowing and understanding your customers, and how big global trends are likely to impact your businesses. Disruption is not a new concept. It became a business buzzword in 1997 when Harvard professor Clayton Christensen coined the phrase “disruptive innovation” in his book, The Innovator’s Dilemma: When New Technologies Cause Great Firms to Fail. Christensen observed the phenomenon where a successful business might be doing everything right, but still fail. It’s the classic situation where a market changes. New entrants arrive who find a new niche in that market and an existing player is sidelined. The remarkable rise and power of Netflix is a case in point. Another example was the disruption that occurred when mini mills which first produced low quality re-bar, moved to sheet steel. They stole business from the larger mills that had previously dominated the industry. According to the academics the very things that make companies fail can be the same that made them successful in the first place. Today we are seeing how “disruptive innovation” – when technology disrupts an existing paradigm – is changing our world daily. And, how the responses to that disruption create an even bigger and faster spiral of change, one that means directors and companies need to be increasingly nimble and responsive to market innovation. In New Zealand there are many examples. When global companies grabbed market share from high street retailers, capitalising on our growing penchant for online shopping, the response was for New Zealand businesses to build an online presence and find ways to ignite the power of local brands. Last year, New Zealanders spent $3.6 billion online, up 13 percent from the year before. Increasingly New Zealand companies need to look at how to tap into and build their own share of that spend. Everything has the potential to be disrupted... (even Directors). Disruption to business models can occur quickly and be political. For example, the announcement by the government in May this year that it would end future gas and oil exploration was considered sudden and unexpected by the industry. It left oil and gas industry protagonists and people in Taranaki reeling. While the timing of the announcement may have been a surprise, the lead indicators and global trends leading to the announcement had perhaps been visible for some time. When you are in the middle of it you can sometimes miss what is happening on the edges. On the flip side, new opportunities, industries and technologies will probably emerge from local oil industry disruption. On a geopolitical front, the disruptive move by US President Donald Trump to impose tariffs on steel and aluminium left many of us in New Zealand disappointed. Climate change and shifting demographics will be an inevitable part of future considerations meaning, that companies should be evaluating the trends, risks and opportunities on the horizon. Cyber-security remains front of mind for many of our members who are directors on company boards and risk committees. With technology at the centre of nearly all business processes, it is well to consider that information security is no longer simply an operational matter. Financial, operational, legal and reputational risks posed by cyber threats are serious. And no business is immune to cyber compromise. Those organisations with large numbers of SMEs in their supply chain are particularly at risk as multiple potential access points exist. The IoD’s Cyber-Risk Practice Guide provides boards with five useful principles to help them understand and monitor cyber-risk. It can help you develop strategies for seeking assurance, and oversee management of cyber disruption. Many IoD members are spending considerably more time on risk oversight to minimise potential disruption. Even so, more than half of our member directors expect a major disruption to occur for their companies within the next two years. For your business, we recommend that you have a clear and approved risk strategy in place. We also provide practical advice to business decision-makers to help you navigate potential looming disruption and future proof your business strategies. Two experienced directors, Melissa Clark-Reynolds and Wayne Norrie ran a course, Mastering Disruption, last May. They’ll run another on 9 August in Auckland. The idea is to equip business leaders with the insight and foresight to govern and manage organisations through the disruption cycle – to innovate, transform, and anticipate the impact of future trends. A disruptor creates a market where one did not exist before. I urge you to be prepared. Don’t let disruption catch you out. Embrace it, and your customers. The course covers having the correct systems and thinking in place to be so close to the customer that you move in tandem with them, anticipating their mood. If you are attune with the customer there is no room for someone else to disrupt your business model – because you are continually disrupting yourself. Resource – Harvard Business review: What is disruptive innovation? Register to attend the IoD's Mastering Disruption workshop.